In keeping with the Silver Jubilee celebrations of Zonal Cultural Centres (ZCCs) of the country, the North East Zone Cultural Centre (NEZCC) is organizing in Jorhat a mega Northeast-centric carnival capturing the mood and brilliance of springtime. With more than 250 artistes participating, the festival will showcase the biggest ensemble of folk dances, folk music, craftsmen, choral singers, tribal folk musicologists and others who will present the best of regional dance, music, culture, et al. 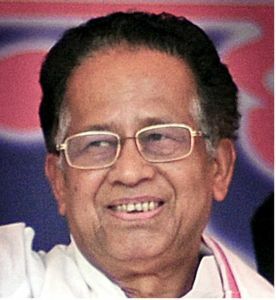 The North East Spring Festival, will be inaugurated in the presence of Honourable Chief Minister of Assam Shri Tarun Gogoi, Cultural Minister Pranati Phukan, NEZCC Chairman and Honourable Nagaland Governor Shri Nikhil Kumar and a host of other luminaries, at the Jorhat Court Field on March 24 next. From the rhythmic steps of the Nunu Pipi dance of the Adi tribe of Arunachal Pradesh to the mesmering Cheraw of Mizoram; be it the fierce display of warrior skills of the Thang-ta and Maibang dances to the graceful moves of Wangala dancers – this festival will reflect the best of the culture from each North-eastern State. 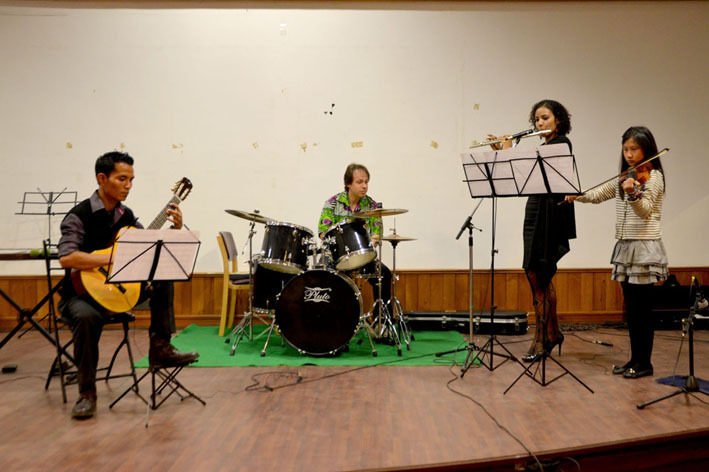 A 60-member troupe from the other Zonal Cultural Centres (ZCCs) will also be participating in the festival, which also has performances by premier experimental musicians Guru Rewben Mashangva of Manipur and Naad Brahma from Assam lined up. 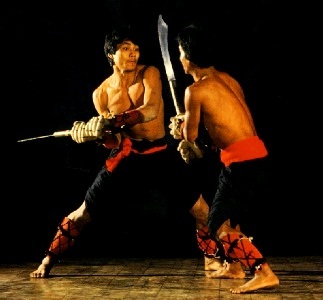 A major thrust area of the NEZCC has been to promote the lesser known art forms of the different States of the region, especially in the hinterland. Not surprisingly, the North East Spring Festival seeks to place lesser known art forms like Khupilile of the Pochury tribe of Nagaland and Ghantu dance of Sikkim on the same platform as much more established folk dance forms like Bihu of Assam and Dhol Pung of Manipur, informed Kamei. 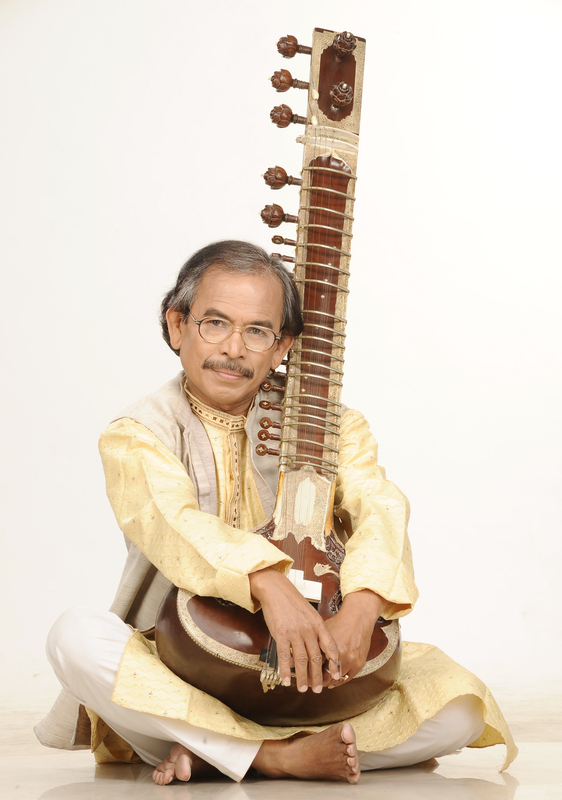 The entire festival will be choreographed by internationally acclaimed Assamese folk musicologist Dr Prassana Gogoi. Entry to the event is free. The following art performances from the Northeast will be featured in the spring festival. And if you thought that Bihu was all about dancing and merry-making, you better think once again. The melodious Bihugeet, which has long been overshadowed by the associated dance moves of Bihu songs, has finally been brought to the forefront in Assamese fiddler Sunita Bhuyan’s unique concept album, Bihu Strings by Times Music, which was launched in the city by Chief Minister Tarun Gogoi last week. It would not be wrong to call Bihu Strings a first-of-its-kind music presentation in the national and international circuit. 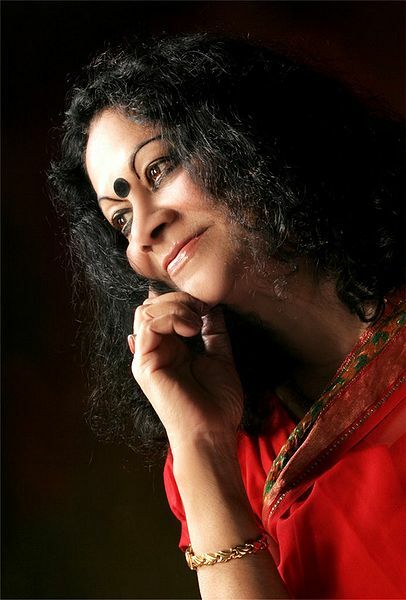 For Sunita has used original Bihu melodies, with its thoughtful and socially relevant lyrics, and blended the same with the inherent raga patterns of the classical music world to create an exciting medley of sounds. What makes it even more special is the fact that the songs in the album have been performed entirely on the violin, making Sunita the first ever violinist in the country to do a complete folk and fusion album on the fiddle! The violin which has had the image of being a western instrument adapted to Indian styles have so far been played in the classical forms i.e. the Hindustani and Karnatic forms in India. This stereotype has finally been broken with Bihu strings as Sunita plays an entirely range of tunes, ranging from classical ragas, Assamese folk tunes, Scottish tunes, jazz elements, et al. “My attempt is to demonstrate the prevalence of the universal seven notes in all kinds of music, be it classical, folk, rock, western jazz etc. The age old Bihugeet, blended with classical ragas and a bit of western folk and jazz – that is Bihu strings for you,” says Sunita, who is the daughter of Minoti Khaund, senior disciple of Pt VG Jog. The songs in the album too have been thoughtfully penned and each number reflects an inherent facet of Assamese life during the Bohaag Bihu season. The album begins with ‘Bholuka Baahore’, which talks about the sensuous tresses of a girl which are adorned with beautiful flowers. The piece is based in raag dhani – the all pervading raag of most bihu melodies. 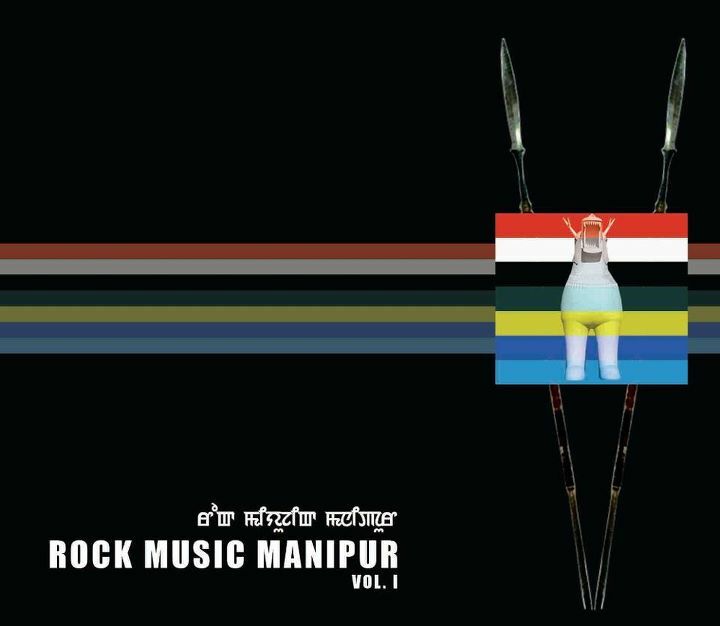 The next track, “Luitor Baalite” talks about the fun and frolic of two youngsters on the banks of the Brahmaputra, which is a fusion of Bihugeet with Irish folk and rock percussions. Then there is Ganga Siloni, which is based on Raag Bhupali. The song talks about the heralding of the spring season through the first chirping of the migratory birds. From the expression of teenage love as portrayed in ‘Xosakoi Bor Dhuniya’ to the more subtle ‘Ranga Nadi’, the lyrics in the album touches on an entire gamut of socially relevant issues. ‘Ranga Nadi’, in fact, dwells on the recurring problem of floods, which brings normal life to complete disarray every year in the State but which cannot dampen the spirit of Bihu among the people. While the lyrics have been written by Gupta Borthakur, a number of talented musicians have collaborated with Sunita in his album. While Rupam Bhuyan and Prasanta Kaur have joined sunita with the vocals, the percussion instruments have been handled by Pranjal Barua, Dibya Jyoti Changmai (tabla) and Diganta Saikia and Lachit Gogoi on the “Dhol”. Noted guitarist Shantanu Baruah has added the western flavor in Luitore Baalite, while the keyboard and sound mixing is by Rupam Talukdar. The album has been released on the Times Music label and the songs will also be available for download to mobiles and other handheld devices after the album’s digital release in Mumbai next week. SHILLONG, Feb 22: A little known aspect of the life of pioneering anthropologist late Sir Verrier Elwin, one of the founding father’s of the Indian Government’s policy towards tribals, was brought to the fore when a collection of his poetry was released in Shillong on February 22 last. 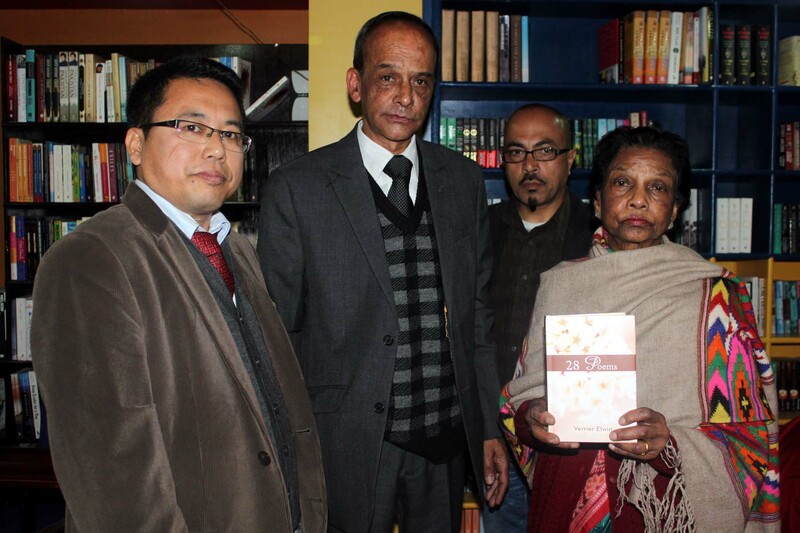 The collection, 28 poems, was released in Bookmark, a small bookstore in Nongrim Hills, by his wife Lila Elwin, son Ashok Elwin and NEZCC director Som Kamei in the presence of a host of litterateurs. 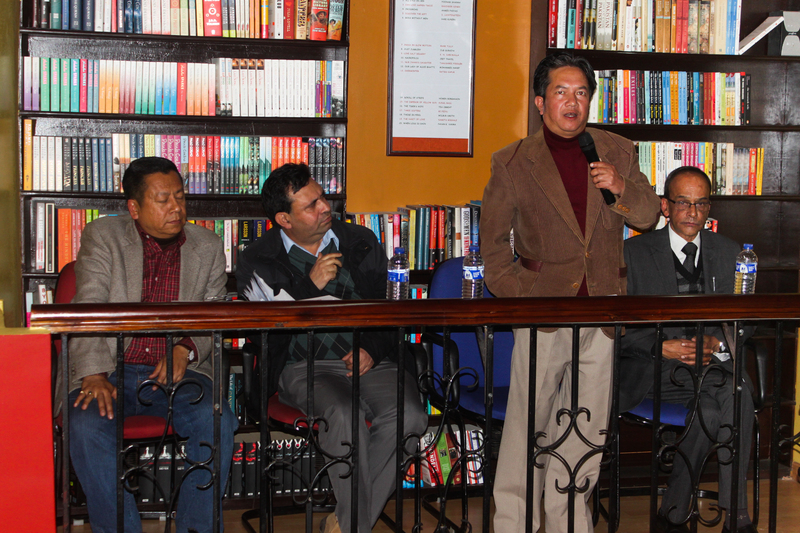 The publication of the book was facilitated by the North East Zone Cultural Centre (NEZCC). Born on August 29, 1902 in Dover, Kent, late Sir Verrier Elwin came to India as a missionary. A visit to Sabarmati Ashram and a meeting with Mahatma Gandhi changed his life and he became a staunch supporter of the Indian national movement. Although not trained as an anthropologist, his studies about the tribals and his writings on their customs, myths, folklore, poetry were pathbreaking for both anthropology and for understanding the rich cultural diversity of our nation. 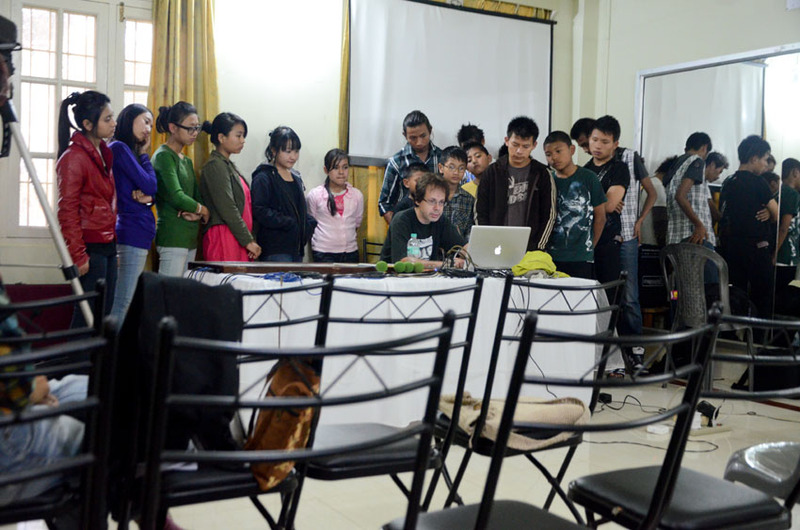 He spent a considerable amount of time with the tribals of Northeast India and finally settled down in Shillong. Releasing the book, Som Kamei said that the royalty collected from the sale of the book would be given to the Elwin family. 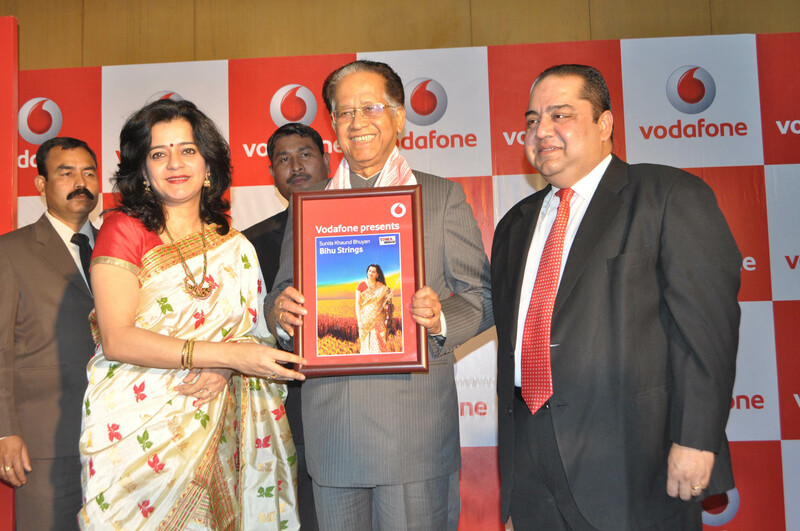 He also presented a cheque of Rs 25,000 to his son Ashok Elwin and Lila Elwin, wife of late Sir Elwin. Ashok Elwin, son of late Sir Verrier Elwin, said that he was thankful to NEZCC for facilitating the publication of the book. “My father’s writing about the tribes of Central and North-eastern India definitely had an impact on the policies of the Indian Government towards the welfare of tribes of Northeast India. The collection ‘28 poems’ was first published in 1956 for private circulation only and it was only because of a chance meeting with Som Kamei that resulted in its formal release today,” he said. A number of noted poets and critics dwelt on the significance of the poetry collection. Noted folklorist and poet Prof Desmond Kharmawphlang said that late Elwin had a deep understanding of the relationship between folk and the narrative which was evident in his poems. 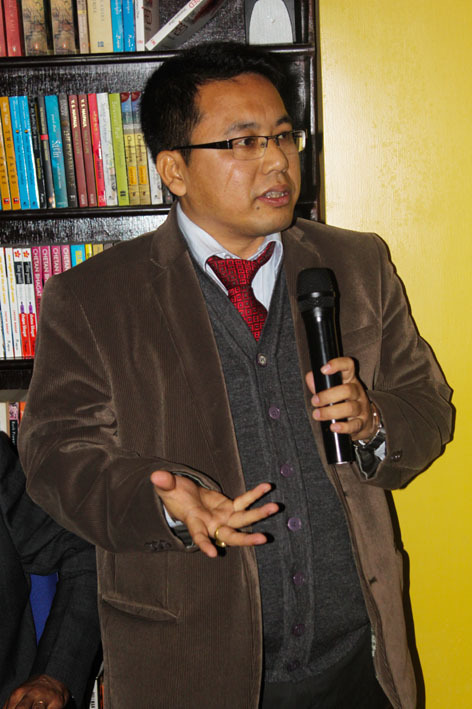 “The manner in which he used the power of narrative to depict simple issues having such deeper significance is simply amazing,” said Kharmawphlang, the head of the department of folklore and creative studies of North East Hills University (NEHU). Dwelling on the collection, noted poet and critic Dr Ananya Guha said that love was one of the most significant elements in late Sir Elwin’s poetry. “Love in all its many different forms is one of the many recurrent themes in his poems,” said Dr. Guha. 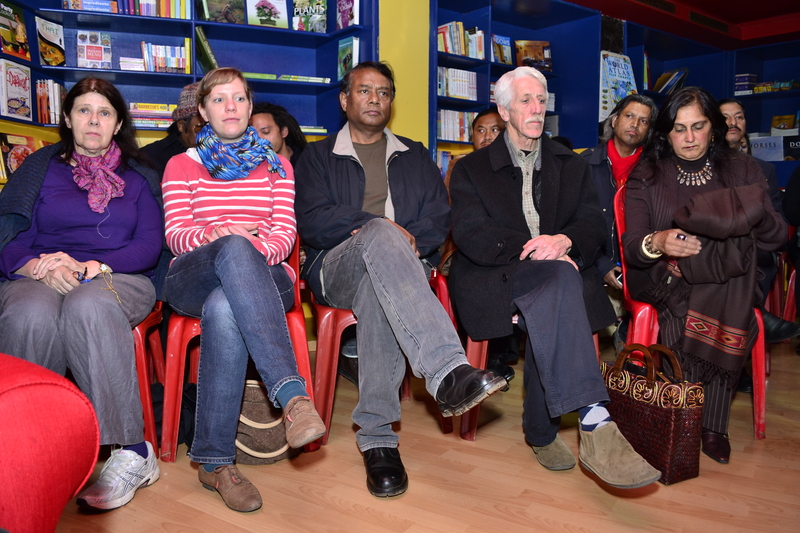 Another acclaimed poem Prof Robin Ngangom also read some of the poems from the collection. Delhi came out to remember two of the State’s greates cultural icons recently. 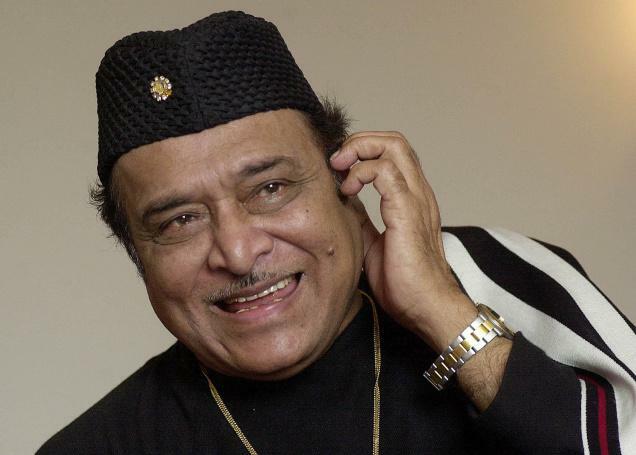 Two new books on the life and times of Bhupen Hazarika and Indira Goswami (popularly known as Mamoni Raisom Goswami, whose demise last year resulted in intense outpouring of grief not only in Assam but across the subcontinent, were released in the New Delhi World Book Fair. 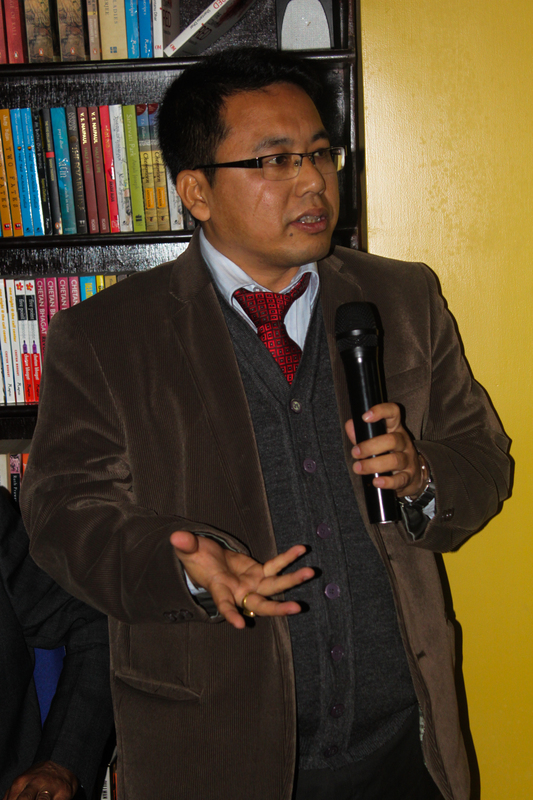 The event witnessed tremendous participation by book lovers and members of the Assamese community residing in Delhi. Bhupen Da: The Bard of Brahmaputra has been written by late Hazarika’s close associate Kamal Kataky and Devajit Bhuyan. 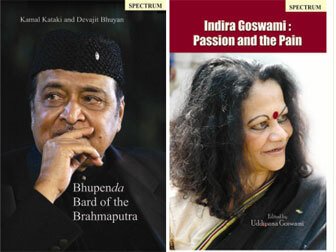 On the other hand, Indira Goswami: Pain and Passion has been edited by Uddipana Goswami. The books have been published by Spectrum Publications. Bhupen Da: The Bard of Brahmaputra has been launched as a hardcover edition for now with a paperback edition coming soon. The project was successfully completed within just a month. The book was launched by Shanta Sharabjit Singh, Vice Chairman of Sangeet Natak Academy. It should be noted that Bhupen da was a past chairman of this institution. Singh recollected the memories of her association with Hazarika and said that the mass gathering of people at his funeral was testimony of the sheer genius he was. The book’s joint author Kamal Kataky, who was a close associate of the bard, said that it was practically impossible to confine the legend within the pages of a single book. 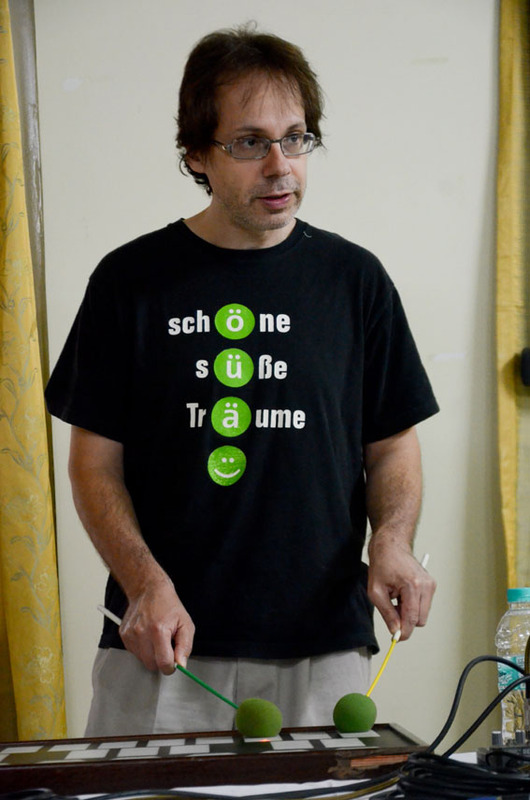 “I was moved to a large extent while preparing the book,” he said. On the other hand, Indira Goswami: Pain and Passion, is an anthology having contributions from literary giants like UR Anantha Murthy and Amitav Ghosh. The book was released by Dr Mukunda Kam Sharma, President of Assam Association. Uddipana Goswami, the editor of the compilation, is a noted litterateur and presently the literary editor of Seven Sisters’ Post. Provided a brief sketch of the life and achievements of Mamoni Raisom Goswami in his speech, Dr Sharma said that she was highly popular among the Assamese community in Delhi. Indira Goswami: Passion and the Pain is a biography of a different kind. It is a collection of articles by various scholars, writers and activists who have known the writer from close quarters or studied her works avidly. The book brings out the various facets of her life and shows veryclearly her humanitarianism, strength of conviction, empathy and angst. Many critics have observed that Indira Goswami’s literary creations draw heavily from her own life and experiences. The articles in this book also cast light on the autobiographical aspects of her works while at the same time, reading the author’s own life as a text. It was her passion for life that saw her through long phases of depression till she reached the pinnacle of glory, bagging award after award. In her life, Indira Goswami came in contact with many known and unknown people from different walks of life – literature, academia and activism. In her death, they show their affection and pay their tributes to the woman who showered her characteristic warmth and brilliant smile on everyone. 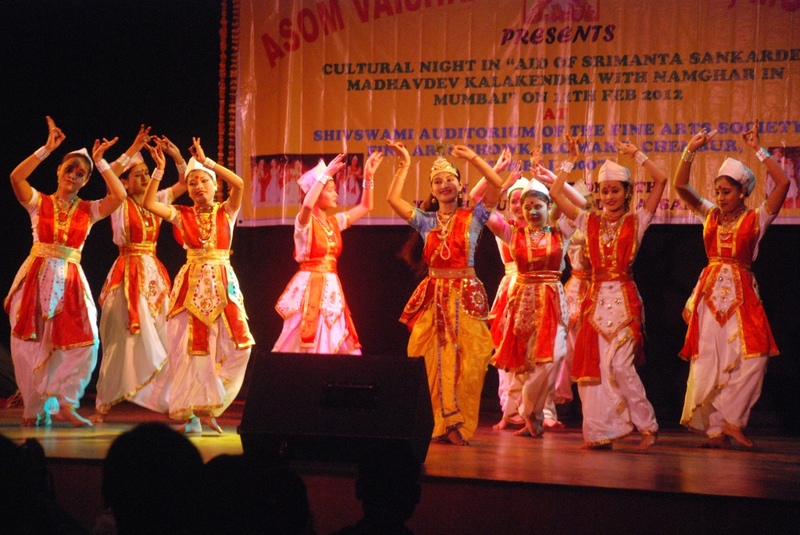 The cultural night organized by Asom Vaisnav Samaj, Mumbai in association with Youth Club Mangaldoi, Assam at Fine Arts Society, Chembut Mumbai on 11th Feb 2012 was a grand success. The cultural night was attended by over 500 Assamese and Non-Assamese people from and around Mumbai. 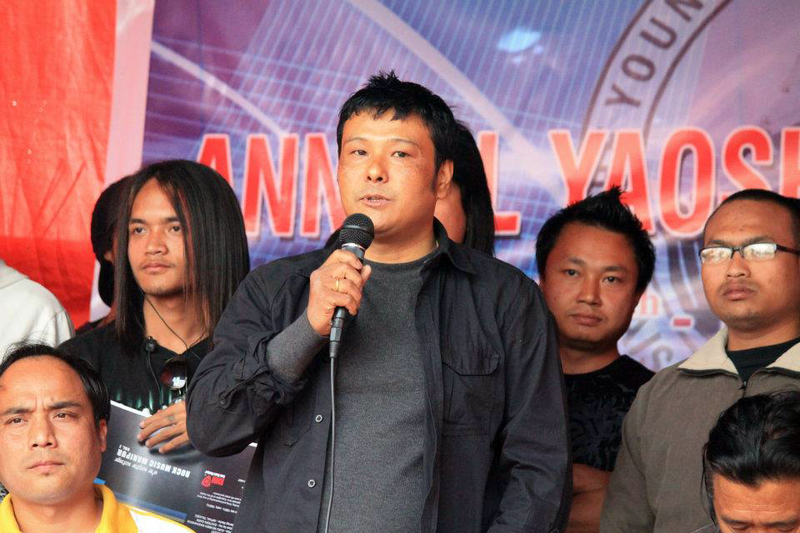 The audience was mesmerized by various high quality performaces performed by the reknowned Youth Club Mangaldoi. The program consisted of classical dances from Assam like Sattriya Nritya, Ghukha, Jhumura Nritya, Matir Aakhara, Deodhani Nritya, other Assamesse creative dances including Bihu. The occasion was graced by many dignitaries like Mr. Debashish Sarma – Deputy Resident Commissioner Mumbai, Mr. Shyam Kanu Mohanta – Deputy Commissioner Custom, etc. The program was started with a Banti Prajalan. In his welcome address, Mr. Shyama Prasad Handique, President Assam Vaishnav Samaj Mumbai, emphasized the need of a Sankardeb Madhavdeb Kala Kendra with a Naamghar in Mumbai. He also explained that such Kala Kendra would help in promoting the teaching of Mahapurush Srimanta Sankardeb and Assamese culture in Maharashtra. In addition it would act as a cohesive force of uniting all the Assamese populace in Maharashtra. Mr. U. C. Deori, Secretary Asom Vaishav Samaj requested the Government and non-government organization to extend all possible help in building this proposed Kala Kendra in Mumbai. The sixth edition of the Streax Unish Kuri Glam Hunt 2012 powered by Vicco SF this year has yet again set the most promising and sought after platform for ten aspiring enthusiastic and energetic models. After an exciting and nail biting preliminary round, the next rounds which tested the 10 finalists are the sub contests which included the much anticipated swimwear round. This round was held at Princeton Club’s pool side where the models competed against each other for the title of ‘Mr. and Ms. Glam Bod’. In this round, the participants were judged on how good they looked in swimwear and the comfort and ease with which they could carry of the garment. The judges for the swimwear round of Streax Unish Kuri Glam Hunt 2012 powered by Vicco SF included: Joy Mukherjee; lead actor of the Bengali movie ‘Target’, Arpita Mukherjee; actress from popular teleserials – ‘Sindoor Khela’ & Sabinoy Nibedon and Paromita Banerjee; an acclaimed and renowned Fashion Designer, who has participated in several Lakme Fashion Weeks. The swimwear has been designed by Saadhika Jhunjhunwalla for ‘Marg’. 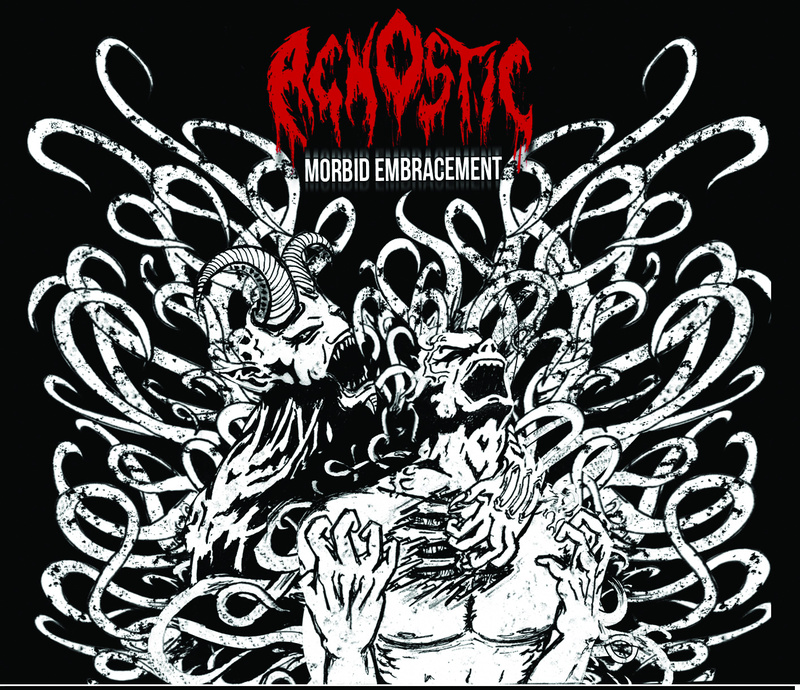 Death Metal powerhouse Agnostic will bring their signature tunes to the Undergrind Fest(Bangalore) on the 14th of April with the album (Morbid Embracement) release. The band’s rabid and intense performances have been igniting stages around the circuit. Given that their frontman and drummer- MitulBoro, has been a percussionist for many years, it is no surprise that this band has come to be known as one of the most experienced bands in the Northeastern Circuit. Agnostic has so far, performed and competed in a considerable number of festivals, pub gigs and competitions throughout the Northeast- Indian Metal Circuit. Morbid Embracement isn’t about metal- overproduction or intricate songwriting/ instrumentation. The band has very intentionally arranged everything in a straightforward technique. Producer Siddharth Barooa has also made sure everything sounds raw as possible. There’s a solid theme backing the entire mix. This isn’t stuff that you’ve never heard before- but we’re sure you’ll like it for what it is.” Says Bassist Nitu Saikia. The Bakul Bon Award 2012, which honours those personalities who have dedicated their lives towards the preservation and promulgation of folk art, culture and traditions of Assam, has been conferred on noted folk artist Maniram Sonowal. 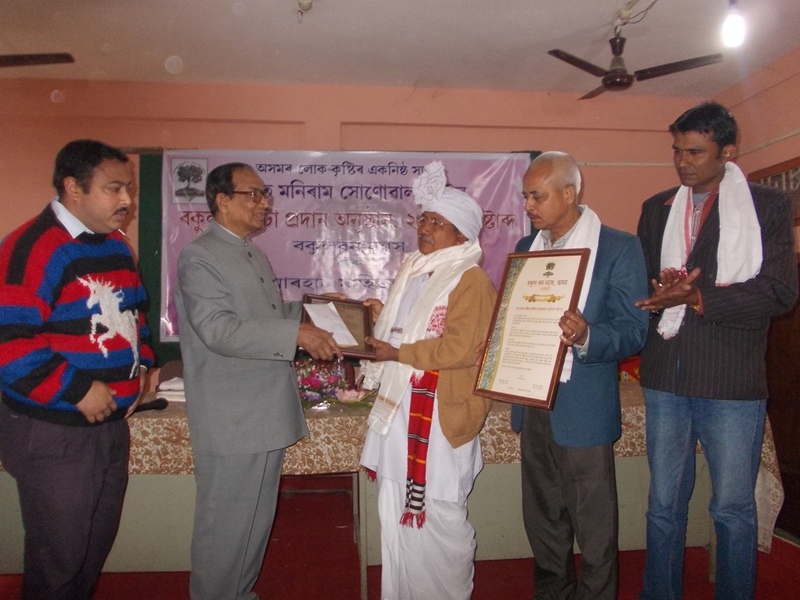 A Sonowal Kachari folk artist and researcher of the traditional songs and dances of the Bodo Kacharis, Maniram Sonowal was selected for his immense contribution towards popularising Kachari traditional culture among the young generation over the last three decades. The award, instituted by the Bakul Bon Trust, Assam, carries Rs 10,000 in cash and a citation. The Bakul Bon Award is conferred every year in memory of ‘Bakul Bonor Kabi’ Ananda Chandra Barua and his better-half Pramila Barua.